Google’s startup incubator, Area 120, has released a new app called Supersonic. This follows hot on the heels of Uptime, an app designed to let you watch YouTube videos with friends Watch YouTube Videos With Friends Using Uptime Watch YouTube Videos With Friends Using Uptime There's a simple pleasure to be derived from watching videos with friends. But with television becoming less important, Google has launched a new social video app called Uptime. Read More . Supersonic is yet another messaging app, but one that does something interesting with emojis. Emojis are everywhere these days, and with good reason. One of the biggest problems with the web is the distinct lack of context and nuance. How many times have you said something in jest, only to have it taken seriously? Hence the need for emojis, a shorthand way of adding an extra layer of meaning to your words. No wonder Google has made them such an integral part of Supersonic. Supersonic, or Supersonic Fun Voice Messenger, to give it its full title, is essentially a messaging app. You can enjoy one-on-one chats with friends, start group chats with lots of friends, or even use the Supersonic Lounge to chat to complete strangers. Conversations are all conducted via voice messages, but — here’s the clever part — Supersonic will automatically convert all of your voice messages into text messages. Supersonic will even recognize words which can be converted into emojis What Does This Emoji Mean? Emoji Face Meanings Explained What Does This Emoji Mean? Emoji Face Meanings Explained Confused by the emojis in that text message you just got? Here are the commonly accepted meanings of popular emojis. Read More , and convert them for you. Recipients can either read or listen to your messages. However, taking a leaf out of Snapchat’s book, your Supersonic messages all have a short shelf life. This means that once your message has been read or heard, it will disappear forever. The already announced Uptime is currently an iOS exclusive, with no mention of an Android version in the works. However, Supersonic is [No Longer Available]. Do We Need Another Messaging App? Supersonic is a neat little app. However, given how many messaging apps 5 Best Free Messaging Apps for Android 5 Best Free Messaging Apps for Android Need a free way to send messages to friends and family with your phone for free? Check out these apps. Read More we already have at our disposal it’s difficult to see how this one will gain any traction. Being associated with Google will help, but longterm success will depend whether or not people want their voice messages converted into emojis. I for one, don’t. But then I’m old and my opinion on these things no longer counts. Do we need yet another messaging app? Does Supersonic fill a void that needed filling? 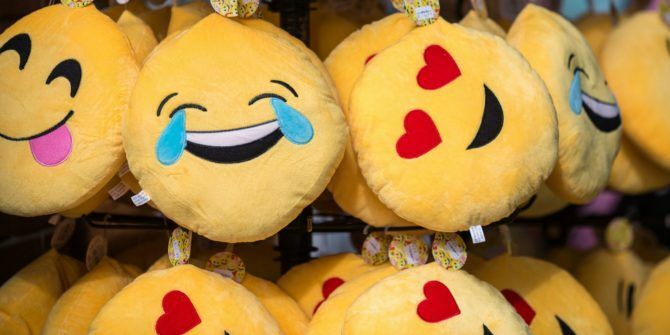 Do you understand the appeal of emojis? Or do you avoid using them whenever possible? If you have download Supersonic, what do you think of it? Please let us know in the comments below! Explore more about: Emojis, Google, Voice Message.